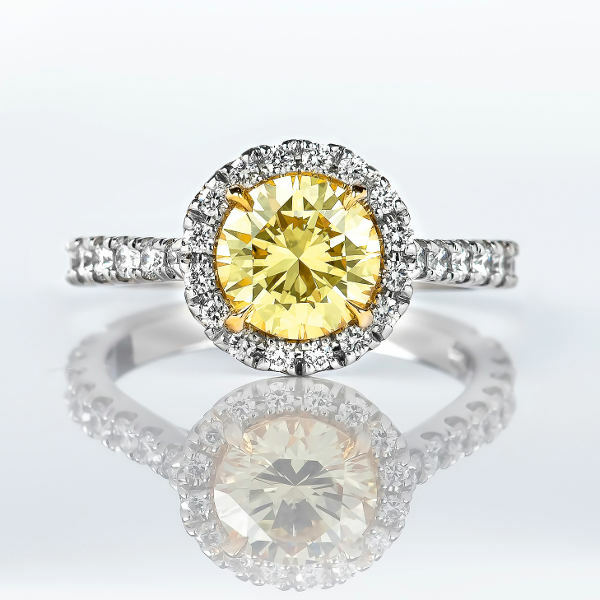 For those seeking a truly rare yellow diamond ring – this is the ring for you. The ultimate canary diamond - extremely rare round intense yellow diamond with vvs2 clarity weighing 1.39 carat mounted onto a halo platinum ring with 0.75 carat of 66 G+ color diamonds. A dazzling and rare canary ring.